Hua Shifu (with Buddhist name Shi Yan Chun) is born in Dengfeng, Henan province. That city is one of the most renowned spiritual centres of China and famous as “the heart of the Kung Fu”. The world famous Shaolin Monastery belongs to this area as well as many other temples, historic gates and others. Hua Shifu studied Shaolin Kung Fu, Zen and Buddhism for over 10 years at The Shaolin Temple since he was 7 years old. After many years of intensive and dedicated training, he acquired mastery in Shaolin Kung Fu Fist, Staff, Sword, Spear, and other weapons. Hua Shifu has specialised in hard qigong (iron shirt) and has reached a very high level in this field as a practitioner and teacher. 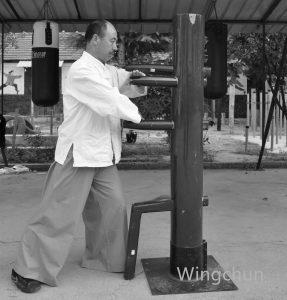 Later in his study he added to his mastery the knowledge and experience of two more styles- Wing Chun and Wudang Tai Chi. 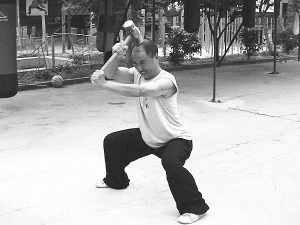 The combination of external and internal kung Fu styles makes Hua Shifu’s Kung Fu unique and inimitable. Hua Shifu is dedicated to the Kung Fu training hard and constantly as well as to his students and disciples. He has over 30 years of teaching experience with different levels and nationality of students. three gold medals in Shaolin Drunk Fist, Luohanquan and Spear in the Kung Ku competition organized by four provinces (Henan, Shandong, Jiangsu, and Hubei) in Henan province. first places in Shaolin Staff and Hard Chi Gong at the forth Henan Provincial Sports Meeting. two gold medals in Wing Chun competition held in Guangdong Provincial. two gold medals in Tai Chi forms and one gold medal in Bagua at Chinese Wushu Festival in Kaifeng, Henan Province. two gold medals at the International Shaolin Wushu Festival held in Zhengzhou, Henan Province. three gold medals at the Second Global Kung Fu Conference on Chinese Kung Fu and Martial Arts Development and Protection Forum at Liangshan, Shandong Province, China. one gold medal in Shaolin Sword, one gold medal in Hard Chi Kung, and one gold medal in Shaolin Spear at the Third Global Kung Fu Conference on Chinese Kung Fu and Martial Arts Development and Protection Forum at Liangshan, Shandong Province, China. two gold medals in Tai Chi forms and one gold medal in Tai Chi Sword at the third Chinese Wudang Kung Fu Conference.